Emmanuel graduated with a diploma in the Architectural Building Technology program at BCIT in 2017. Starting his first Architectural Firm at Thinkspace, Emmanuel has been continually learning and improving on his practice as a technologist. He has been involved in a few projects so far, including several projects for the Surrey School District. During his studies and in his work, Emmanuel has found a keen interest in green building and passive designs. 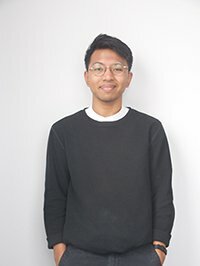 He aspires to learn more about innovative ways to construct buildings and to partake in shaping Vancouver to become a more modern and sustainable city. He plans on taking the Bachelors Program of Architectural Science to continue his pursuit in the Architectural field. Outside of work, you can find him around and about in the great outdoors. In his spare time, Emmanuel explores the many wonderful places that Vancouver has to offer while combining that with his hobby of photography. He also enjoys travelling to other countries to experience diverse cultures and discover the amazing sights unique to each place.